U.S. Secretary of State arrives in North Korea to finalize details of Trump-Kim summit. 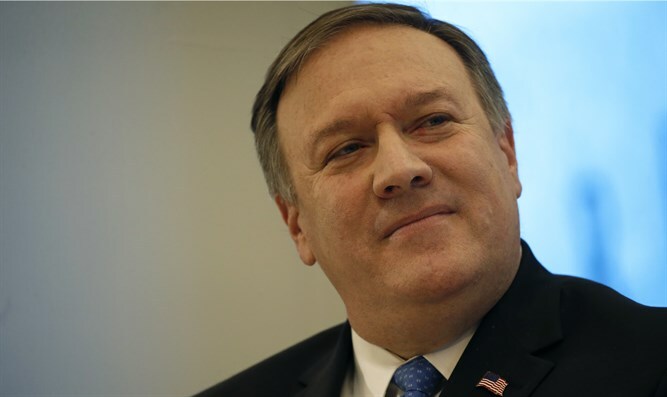 U.S. Secretary of State Mike Pompeo arrived in North Korea on Wednesday (local time) to finalize the details of an upcoming historic summit between President Donald Trump and North Korean leader Kim Jong Un, The Associated Press reported. U.S. officials said Pompeo will also press North Korea for the release of three detained American citizens, whose imminent release Trump has been hinting at. His trip comes just days after North Korea expressed displeasure with Washington for comments suggesting that massive U.S. pressure had pushed Kim to the negotiating table. Pompeo, who first traveled to North Korea as CIA chief in early April, is only the second sitting Secretary of State to visit the country. The first was Madeleine Albright in 2000 who went as part of an unsuccessful bid to arrange a meeting between then-President Bill Clinton and Kim's father Kim Jong Il, noted AP. Pompeo flew out of Washington under cover of darkness late Monday aboard an Air Force 757 accompanied by a handful of senior aides, a security detail and two journalists: one from The Associated Press and one from The Washington Post, who were given roughly four hours' notice of his departure. The flight arrived Wednesday morning and North Korean officials were on hand to greet the American diplomat. Pompeo told reporters aboard his plane that his first visit was to test North Korea’s seriousness of pledges to South Korea on easing tensions. This trip is "to put in place a framework for a successful summit," he said. The meeting between Trump and Kim is mostly expected to deal with North Korea’s nuclear program. Administration officials recently indicated that Trump will urge North Korea to act quickly to dismantle its nuclear arsenal when he meets Kim and is not willing to grant Pyongyang substantial sanctions relief in return for a freeze of its nuclear and missile tests. Ahead of the meeting, officials said North Korea has agreed to close its nuclear test site this month in full view of the outside world. Although there were no guarantees that the American prisoners would be freed during Pompeo's visit, U.S. officials said on Tuesday their release would be significant goodwill gesture ahead of the Trump-Kim summit that is expected later this month or in early June. "I think it would be a great gesture if they would agree to do so," Pompeo said, according to AP, adding that it would be difficult to hold a leaders' summit if the prisoners remained captive. The three Korean-Americans - Kim Dong Chul, Kim Hak Song and Tony Kim - are all accused by the North of anti-state activities.